If you outwork and out-hustle your competitors, it will pay you back. 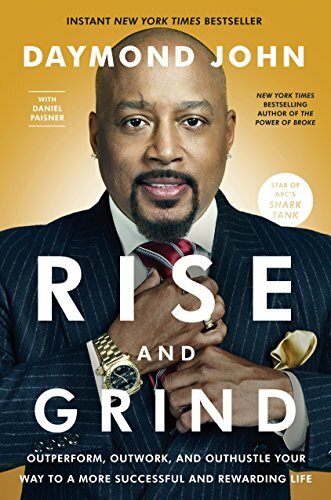 This is the central thesis of Daymond John's new book, "Rise and Grind." Daymond takes an up close look at the hard-charging routines and winning secrets of individuals who have risen to the challenges in their lives and grinded their way to the very tops of their fields. Along the way, he also reveals how grit and persistence both helped him overcome the obstacles he has faced in life and ultimately fueled his success. Click BUY on the left to order your copy.